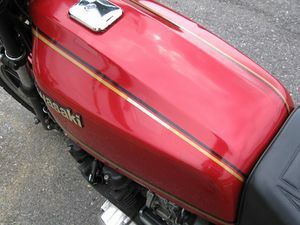 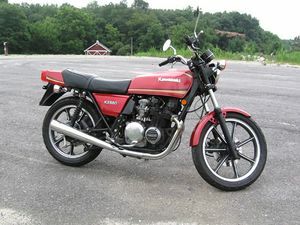 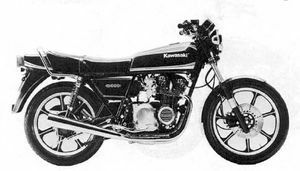 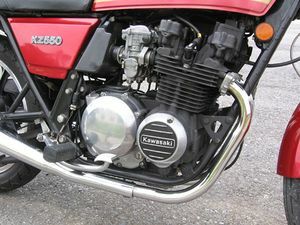 The Kawasaki KZ550A is a motorcycle produced by Kawasaki from 1980 to 1983. 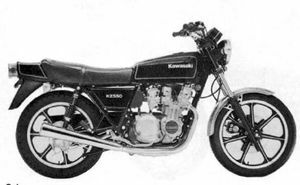 Remarks: New design mid size multi. 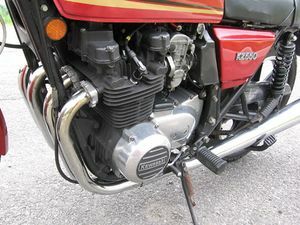 Silent cam chain, automatic cam chain tensioner cast wheels, front disc and rear drum brakes. 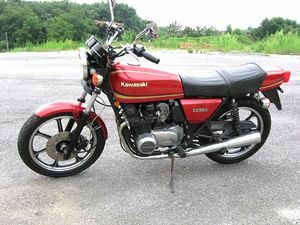 Major Changes: Color and Graphic, transistorized ignition system, front dual disc brake.